Chiropractic spinal and pelvic adjustments can reduce or resolve pregnancy discomforts such as back pain, hip pain, sciatica, and heartburn. Chiropractic helps with optimal fetal positioning by helping the pelvis to be symmetrical. This, in turn, helps the uterus to be more symmetrical. Adjustments can help the baby to fit the brim better to engage in time to help stimulate cervical ripening. Adjustments also make the pelvis more flexible so that pelvic joints move more easily in labor. One commonly utilized technique is the Webster Technique. 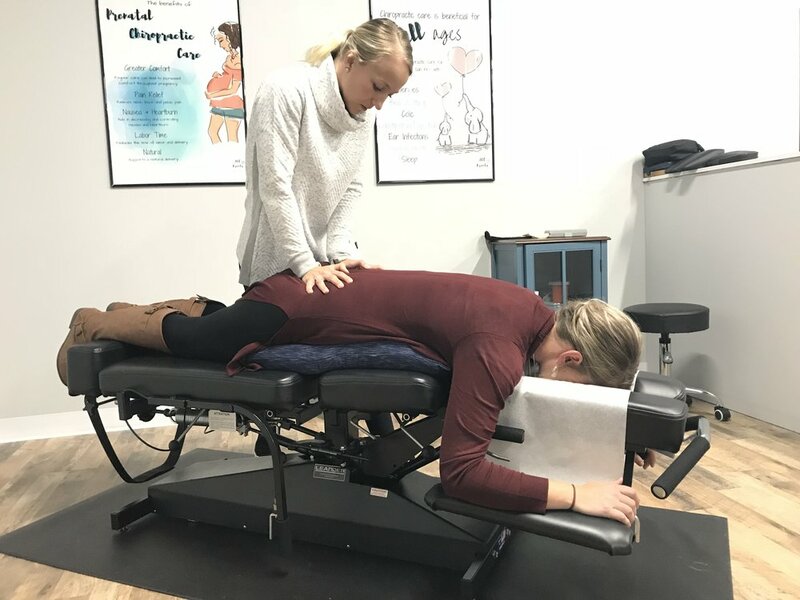 A chiropractic adjustment called the Webster technique is a specific sacral adjustment to help facilitate the mother’s pelvic alignment and nerve system function. This in turn balances pelvic muscles and ligaments, reduces torsion to the uterus. This may offer a greater potential for optimal fetal positioning. Originally used for breech presentations and then posterior presentations, current research is revealing the benefits of receiving the Webster technique throughout pregnancy for the prevention of dystocia. The International Chiropractic Pediatric Association offers chiropractors advanced classes on care in pregnancy, including the Webster technique. Dr. Alyssa is a proud member of the ICPA and a certified Webster Technique doctor!